Certified Management Professional with extensive experience in Technology, Financial, Advertising, Telecommunication, and Automotive Industries. Efficient in solving problems by identifying resources and delivering business results. Expertise includes growth marketing, digital analytics, cloud computing, data science, product and project management, and business strategies. Effectively manages product lifecycles, projects, and cross-functional teams. • Drive optimization across digital and off-line campaigns through market analyses, budget planning, and attribution solutions. • Identify and prioritize business opportunities via strategic partnership with local operations and regional management teams. • Built an in-house data streaming pipeline using the Amazon Web Services to drive vendor agnostic solutions. • Developed tracking plan and implementation guide to educate vendors, internal teams, and clients about web analytics. • Support business development with analytics insights and strategic measurement plans. • Managed regular deliverables including mobile app analyses, campaign tracking, and insight-driven client presentation. • Provided integrated analytical strategies, case studies, and POVs across customer demographics and channels to improve client decision-making. • Designed and conduct analyses, interpreting results and synthesizing recommendations. • Excelled in database marketing, integrated channel marketing (site, mobile and social), analytical tools (Google Analytics, Omniture, Tableau), techniques, and other infrastructure requirements. • Led company e-marketing strategy including website content management, monthly newsletters, email campaigns, webinars, SEM, SEO/PPC, and social media. • Performed site-wide audit and analyses, resulting in a 20% increase click-through rate (CTR) in paid program over a month. 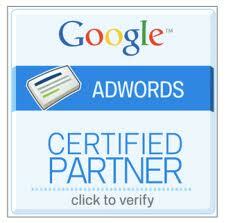 • Conducted site audit and grew online traffic by 50% within the first six months. • Increased profit within existing OEMs by 5% through the development of strategic alternatives and contingencies. • Identified sources of industry and competitive information, including industry associations, primary and secondary market research, and customer feedback. • Increased conference profits 30% as team member solely responsible for selling sponsorship, media relations and relationships with government agencies and multinational enterprises. • Grew sponsorship volume by 40% over previous year through key sponsorships by TV stations, newspapers, and Internet media.